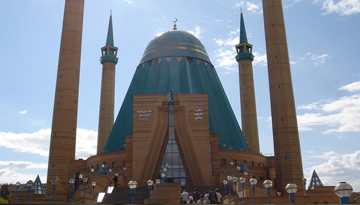 As the capital of Azerbaijan, Baku is the largest city in the Caspian Sea. Built 28 metres below sea level, it is also the lowest capital city in the world. Just over 25 per cent of the country live in Baku, with the city making home for over 2 million people. Its 11 districts and 48 individual towns within the city offer something different for travellers to sink their teeth in to. Baku is sometimes referred to as the 'Paris of the East' because of its strange mix of building and architecture styles. The Old City has buildings that were constructed in the European style of the 20th century, whereas the more modern areas have up-to-date glass skyscrapers. It isn't just urban sprawl that dominates the landscape, however, with beautiful parks and startling greenery spreading throughout the city. Those looking to get out and dance the night away won't be disappointed - Baku's nightlife is currently experiencing a boom. Clubs stay open until dawn, and offer an eastern flavour for weary travellers to try out something unique. With its subtropical climate, the weather in Baku is warm and dry, so don't forget to pack the sun cream. Discover Asia with Lufthansa. Book now Baku from London at just £349, include return. 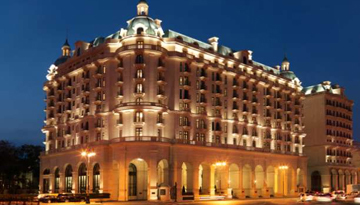 Just stay 2 or 3 nights & save up to 20% at Four Seasons Hotel Baku - Available all days. 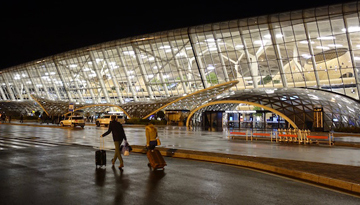 Fly from London - Baku & Stay for 7 nights with 5 star accommodation. All Inclusive.